I like this quote. It’s reassuring to me. It’s OK to fail. It means I’ve tried. What I also like about it, is that it encourages me to try again. To fail again. 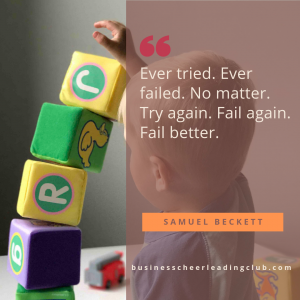 And even to fail better! What does that feel like to you? Do you like to succeed in everything, and fear ‘failing’? I used to be like that. Everything had to be perfect (what does perfect mean anyway? ), or I felt I’d failed. And then I became a parent. I realised that there is no “right way”, there’s only “my way”. It also taught me I can only do my best (I’m sure I learnt that as a child but had forgotten it). Whenever I set out what’s important to me, and I plan to achieve it, I keep this mantra in mind. Even when I’m doing things for other people, including my family, I can still only do whatever it is they’re asking in my own way in my own time. So if you are feeling a bit stressed at the start of this week, go back to your lists and schedule and work out what’s important. What HAS to be done this week? How much time have you got available to do it? Schedule it in, and do your best. And all those other things that aren’t important this week? Well, they can just be looked at again next week or the week after and see if they’re important then. It may be you’ve got some work things to tidy up before you stop for some holiday. Or you may have already finished work and you’ve got a busy week ahead doing family things. Whatever you’ve got going on this week, keep focused on what’s important to you. It’s easy to get distracted. You can succeed, if you know what you’re aiming for, and stay focused. 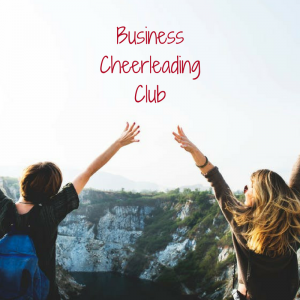 This month in the Business Cheerleading Club this month we’ve been focusing on planning. It’s not that December is a perfect time for planning, but many people use this month for reviewing the year, and thinking about the year ahead. Have you started reviewing and/or planning yet? What tips can you share with others about what works for you? 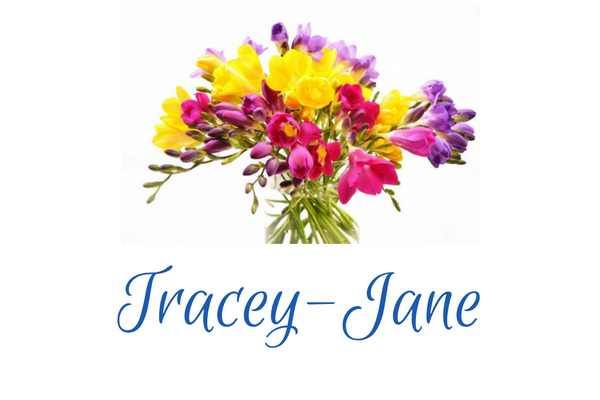 Let me know, and I’ll add them to next week’s tips newsletter. The 13 week planner I’ve created is proving a popular gift, and you can get it with club membership in our pre-Christmas offer. Pay monthly for membership and the planner, and smooth the cost. If you sign up now, you’ll always get membership and the planner at this price, even when the price goes up, as it will in January. It’s OK to not get things right first time. Maybe next time it’ll be even better than you were trying to achieve first time around. How do you feel about ‘failing’? Reassured that you’re trying? Leave a comment below & let’s explore together.